There is a special feeling that can be felt at a wedding ceremony that is hard to find anywhere else. The genuine sense of hope, joy and pure love is almost tangible, inspiring not only the happy couple but all of their guests as well. Capturing this mood in a ceremony that reflects your individual style requires more than just professionalism and experience. An enormous amount of time and effort can go into planning your wedding day, and the most important part is the ceremony that makes you husband and wife. 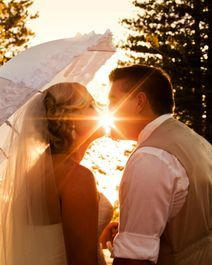 We are committed to providing our couples with a supportive, high quality service throughout the entire planning process, resulting in the presentation of the unique, moving ceremony of your dreams. If you are not already aware, Australian Law requires couples to formally lodge a 'Notice of Intent to Marry' no less that 1 month prior to their planned wedding date. Although this form is readily available from the Attorney General's website completion of this form requires you to provide specific forms of documentation that may vary depending on your circumstances. This form is a vital part of the legal process of solomising your marriage in Australia. We can advise you on how to correctly complete and lodge this form up to 18 months before your wedding, however this is usually done at our first consultantion. Authorised and qualified Marriage celebrant who is easily accessible via email and phone for your queries. Assistance in completing, and submission of all legal forms. Performance of your ceremony and solemnisation of your Marriage at the agreed time and location. Optional use of a signing table and two chairs with white table cloth and chair covers. To have a tailored ceremony professionally written, arranged and presented for you along with all of the legal paperwork will usually cost around $625. This includes the booking fee and the services listed above. Please contact us to discuss your thoughts and plans for a personalised quote.